A ‘family business’ is an operating business in which members of the same family have most of the power. Family businesses face increasingly complex issues that affect not only the future of the business itself, but also that of its owners, their family and their employees. Always, the owner must reconcile their own and their family’s aspirations with the commercial goals of the company. The chances of family business survival can be increased if the life-threatening questions are tackled ‘early on and head-on’ and all key stakeholders are involved in planning the future of the company and their role in it. 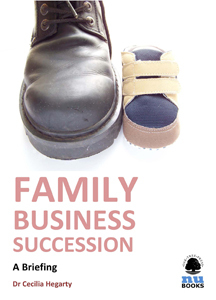 This brief guide provides family business owners, family members and non-family employees working in family firms with guidance for succession planning.